Join us live & online for 4 powerful masterclasses and discover how to harness the principles of mindfulness and emotional intelligence for sales success in 2019. This highly practical programme is designed specifically for salespeople and for in-house or external coaches, consultants, HR professionals, trainers or sales managers who have responsibility for raising the sales skills and performance of salespeople. Session run 60 minutes, live and online via Zoom webinar. Recordings provided. You’ll be invited to complete a complimentary Genos Emotional Intelligence assessment and gain access to our exclusive Mindfulness and EI LinkedIn group. 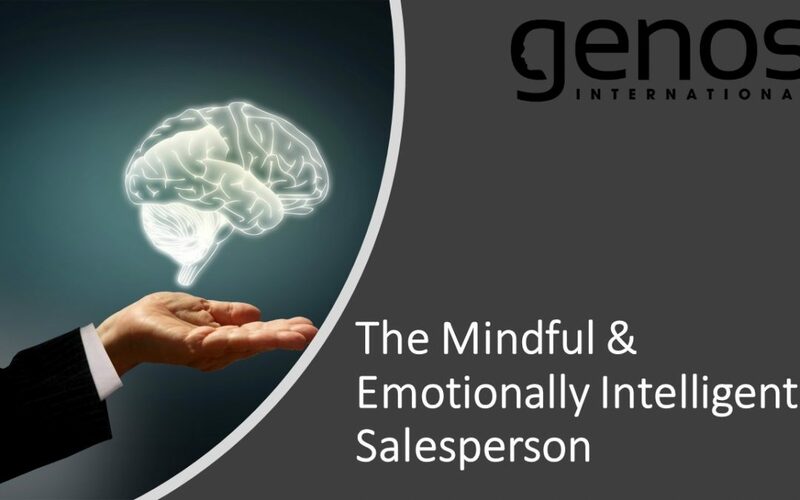 Register here for your place on The Mindful & Emotionally Intelligent Salesperson Masterclass.